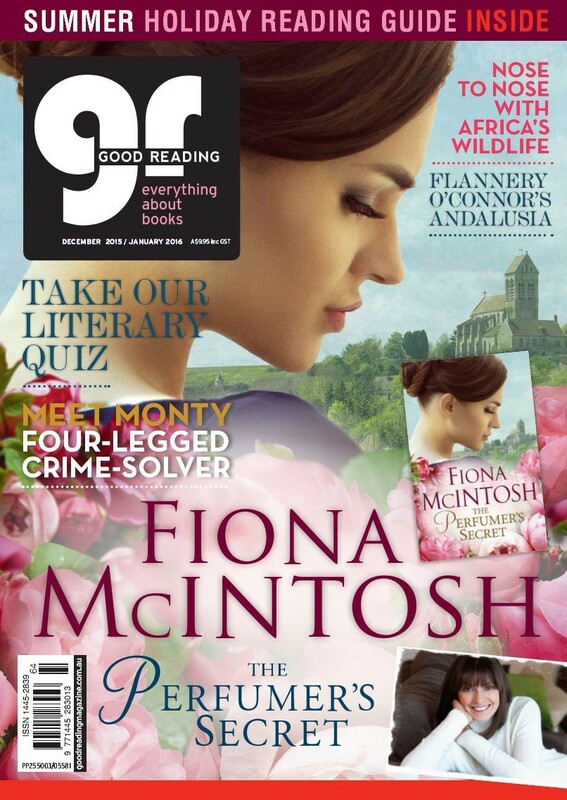 The December issue of Good Reading magazine is ready for you to read! Aussie favourite Fiona McIntosh is back with The Perfumer's Secret and an article she wrote for us about her research trips to France, during which she crafted her own fragrance. Professor Robert Power, an award-winning short story writer and acclaimed novelist, tells us about his latest semi-fantastical offering Tidetown and his work in Zimbabwe that inspired his characters. We're joined by Peter Garrett, who takes us on a tour of his bookshelf, and we also dip into a conversation with one of the world's most fascinating scientists. Leaf through our reviews and Summer Reading Guide to find your next book to enjoy in the sunshine, and for dog lovers, we've got two canine-themed articles featuring posing French bulldogs and a labrador detective called Monty. Read the lastest issue of Good Reading for free on your home computer or tablet just by clicking through to the eMagazines section of our website.